A wet winter has finally come to our part of the world and the rainy days are very welcomed. In the next couple of months as Spring arrives, Sweetwater Landscape will fill the calendar with Spring Clean Outs. If you are a fairly new water feature owner with a Pond or Pondless Waterfall or have had a Pond or Pondless Waterfall for the past few years and have not had a Spring Clean Out then now is the time. 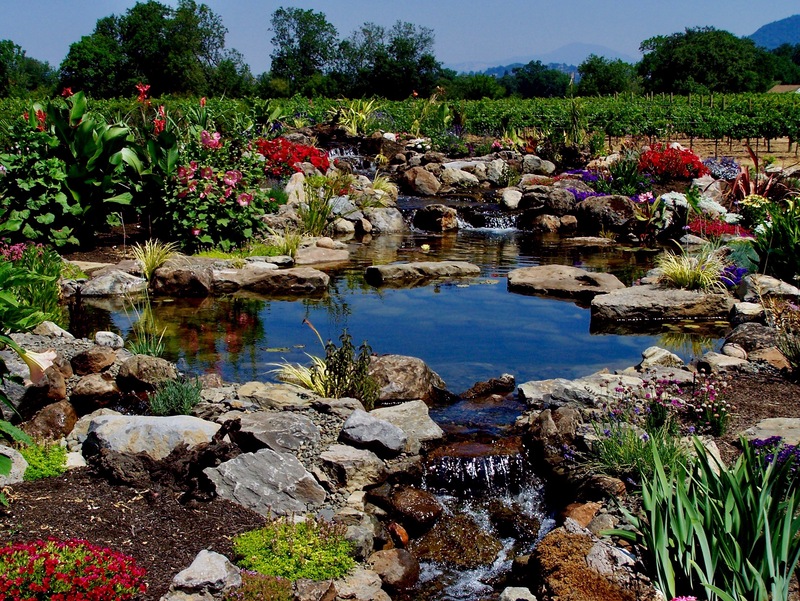 Besides preparing your water feature aesthetically, it is very important to check for low liner areas as not to waste water and prepare your ponds ecosystem for the months to come. 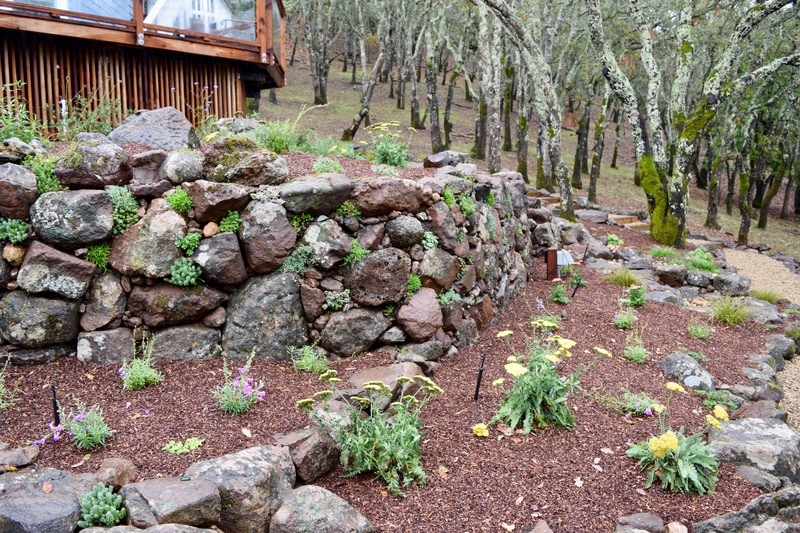 Over the year your Pond or Pondless Waterfall changes with the seasons. Spring start ups tend to be a rough time as your pond plants are just starting to wake and the water temperatures rise. Algae blooms can be more common this time of year. Dead Algae can accumulate and cause more problems both short term and long term. Summer is a wonderful time for a pond. The plants have re-established the water temperature has risen and we are outside more often with the long summer days. Fall is really two halves, the first is coming out of summer, an epic time for a pond. Your flowers and lilies are still blooming, the weather is just right outside and the leaves are changing colors. The latter half of fall can be very difficult for your pond. The vibrant fall colored leaves are now dropping in and around your pond or waterfall. This organic matter can really cause a lot of problems for your pond in the short term as well as the long term. You do not want to leave this debris in your pond. 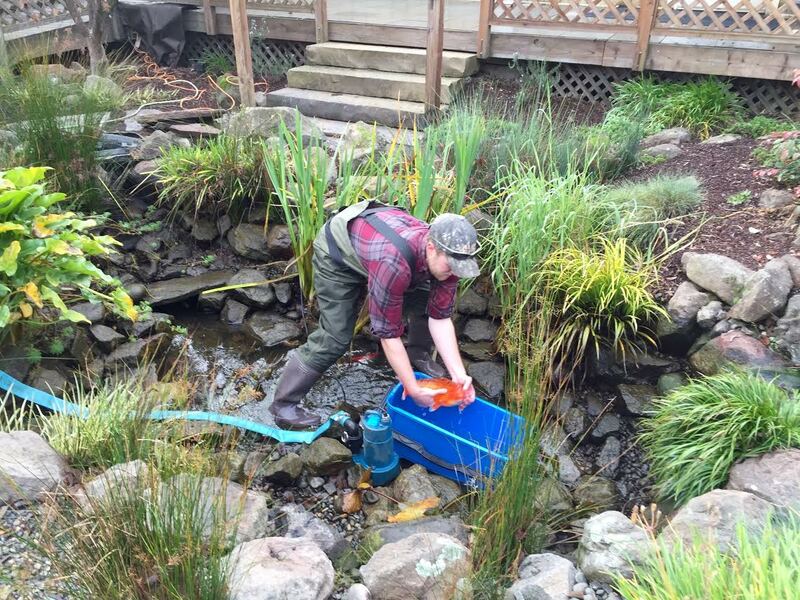 Winter can be rough time for your pond, even in our tempered climate. With proper preparation coming out of fall, a winter pond can still be enjoyable right through to spring. Spring is the best time to address any issues that may have arisen over the past season and prepare your pond for the coming months of enjoyment. Pond Clean Outs consist of draining the pond, removing and storing the fish, a light pressure wash if needed, cleaning of waterfall and stream, check for low liner edges, trimming of aquatic plants, fertilizing water lilies, replacement and or adjustment of pond lights, cleaning of Biofall and filter matts, cleaning of skimmer and filter matt, checking the function of autofills and other outside components, testing pump(s), filling the pond, adding beneficial bacteria, adding a water conditioner and reintroducing the fish back into the pond. Pondless Clean Out includes draining and cleaning of reservoir if needed, light pressure washing of stream bead and water falls, check for low liner edges, trimming of aquatic plants, adjusting and or replacing lights, repositioning stone and gravel as needed, testing pump(s) and filling of reservoir.